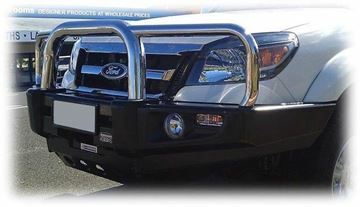 For more information on Outback Armour products, please contact us. 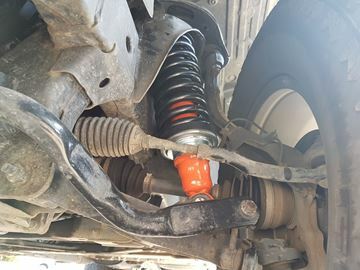 The Outback Armour Suspension to suit the Hilux is great value and rides nicely! Outback Armour features gas cell shocks. 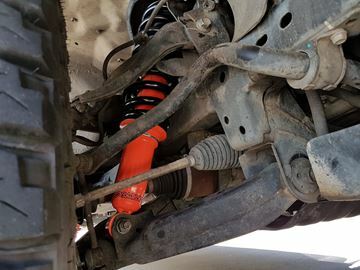 All Outback Armour Suspension comes standard with 3 years, unlimited km warranty, and one year on strut bushes and bearings. The Outback Armour Suspension to suit the RG Colorado is great value and rides nicely! Outback Armour features gas cell shocks. All Outback Armour Suspension comes standard with 3 years, unlimited km warranty, and one year on strut bushes and bearings. 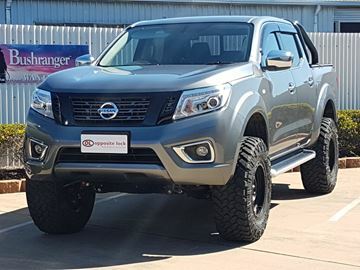 The Outback Armour 3 inch or 75mm Suspension kit makes the Nissan Navara ride great and smooth! 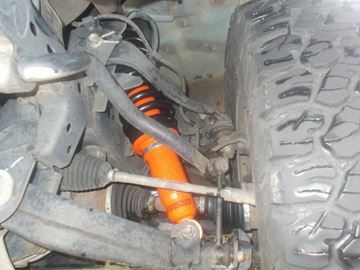 All Outback Armour suspension kits come with 3 years, unlimited km's warranty. 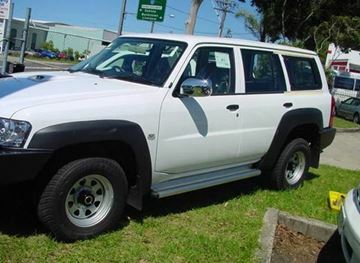 The Outback Armour Suspension to suit the PX Ranger is great value and rides nicely! Outback Armour features gas cell shocks. All Outback Armour Suspension comes standard with 3 years, unlimited km warranty, and one year on strut bushes and bearings. 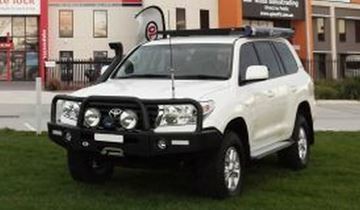 The Outback Armour Suspension to suit the Toyota hilux is great value and rides nicely! Outback Armour features gas cell shocks. All Outback Armour Suspension comes standard with 3 years, unlimited km warranty, and one year on strut bushes and bearings. The Outback Armour Suspension to suit the Isuzu Dmax is great value and rides nicely! Outback Armour features gas cell shocks. All Outback Armour Suspension comes standard with 3 years, unlimited km warranty, and one year on strut bushes and bearings. The Outback Armour Suspension to suit the Amarok is great value and rides nicely! Outback Armour features gas cell shocks. All Outback Armour Suspension comes standard with 3 years, unlimited km warranty, and one year on strut bushes and bearings. 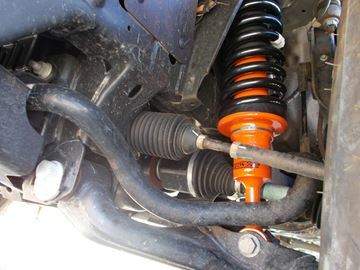 The Outback Armour Suspension to suit the Navara D40 is great value and rides nicely! Outback Armour features gas cell shocks. 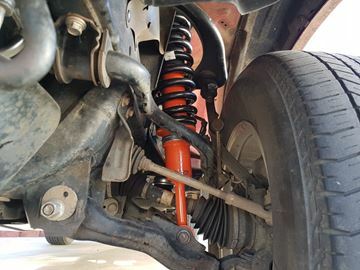 All Outback Armour Suspension comes standard with 3 years, unlimited km warranty, and one year on strut bushes and bearings. 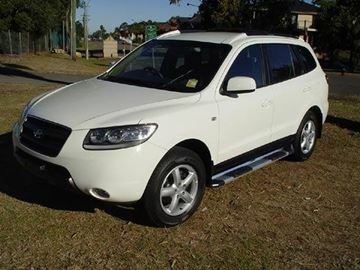 Outback Armour suspension is tough and reliable. Outback Armour was first made for military purposes. 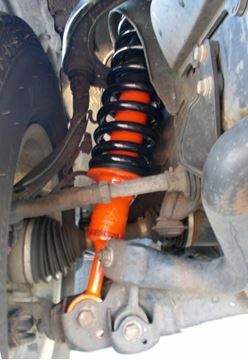 Over the years, they have refined their suspension for a range of vehicles. 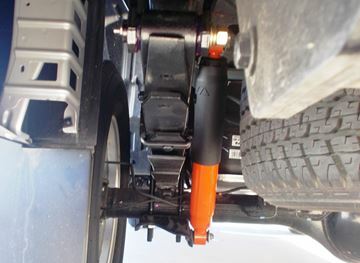 The suspension kit to suit the 200 series cruiser sits the vehicle proud and tall. 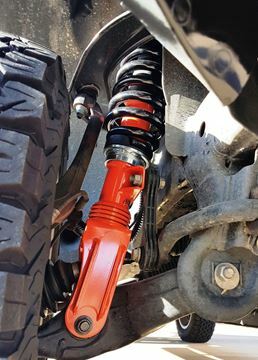 Outback Armour suspension is tough and reliable. Outback Armour was first made for military purposes. 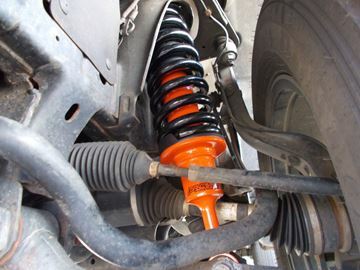 Over the years, they have refined their suspension for a range of vehicles. 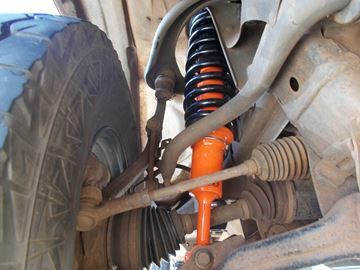 The suspension kit to suit the PXII Ranger sits the vehicle proud and tall.